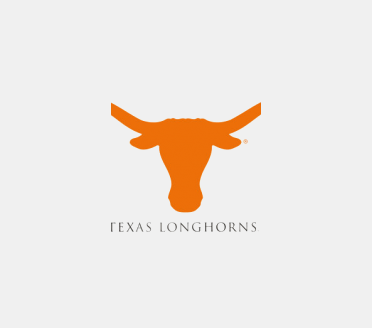 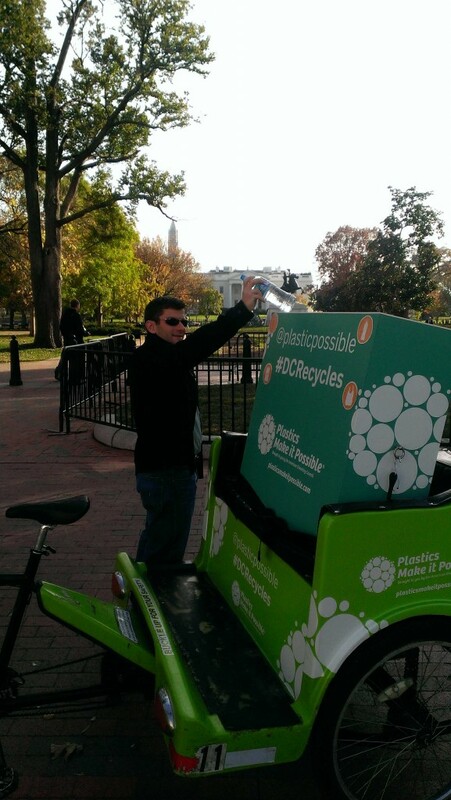 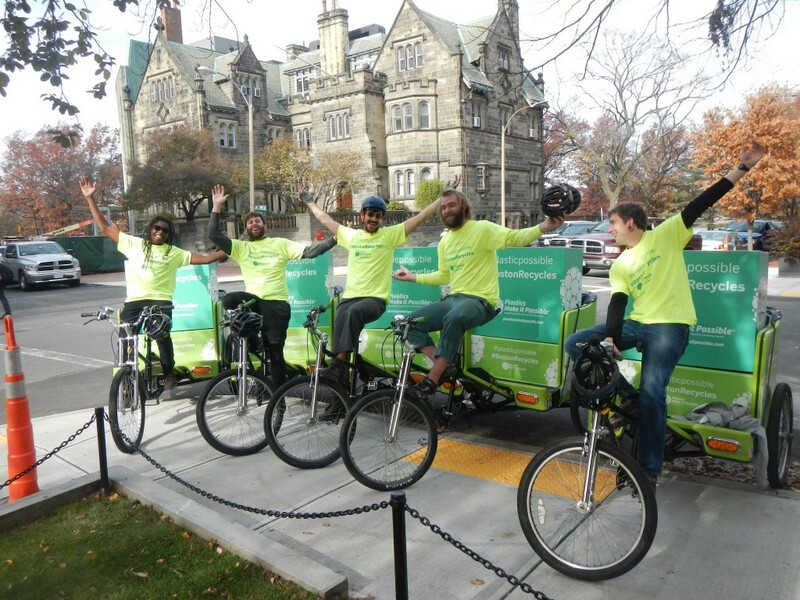 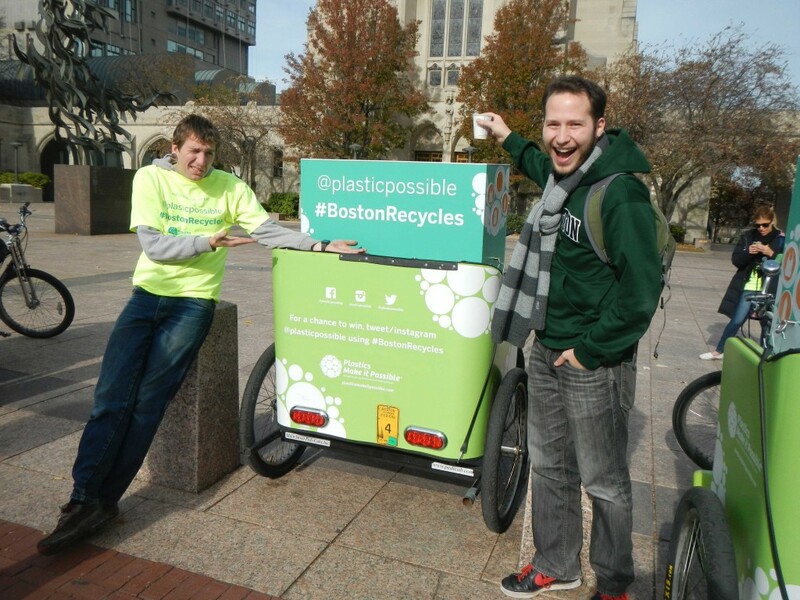 To celebrate America Recycles Day on November 15, 2013, Plastics Make it Possible® sent a fleet of mobile recycling bins to six cities with large college campuses across the United States. 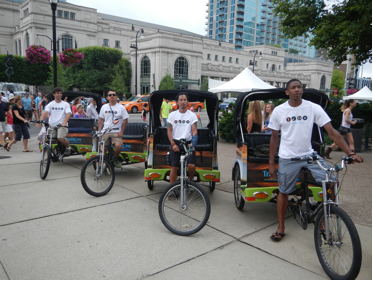 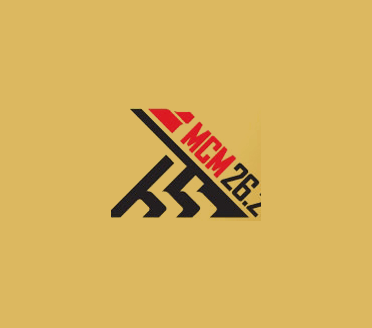 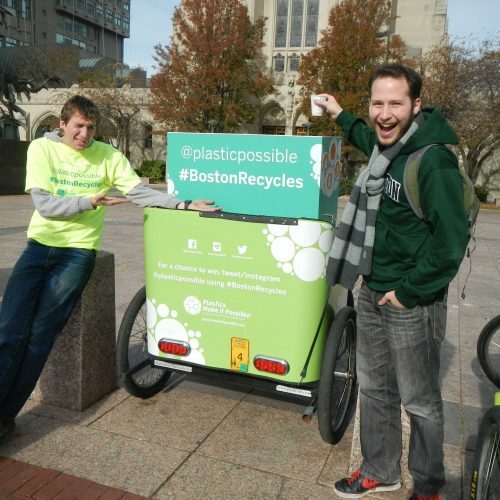 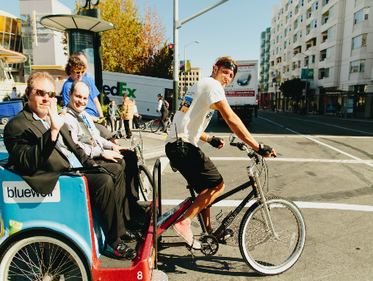 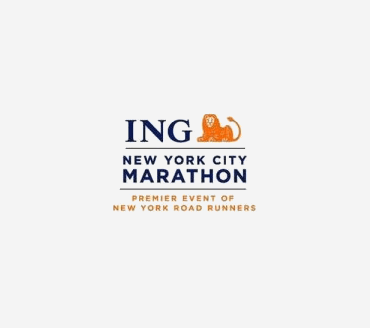 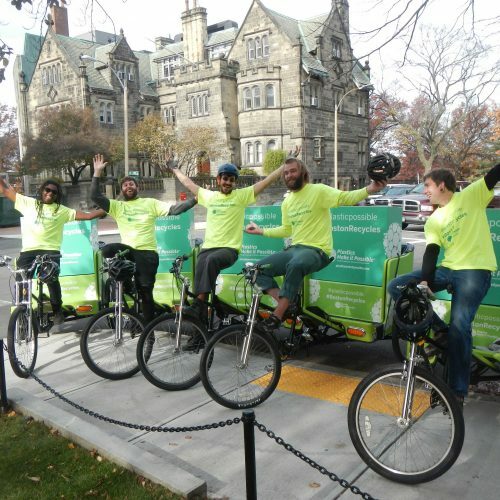 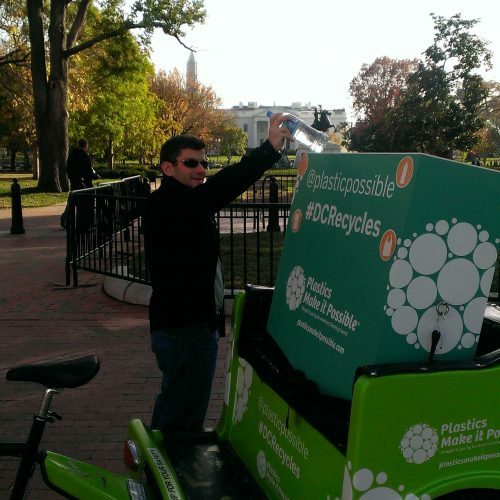 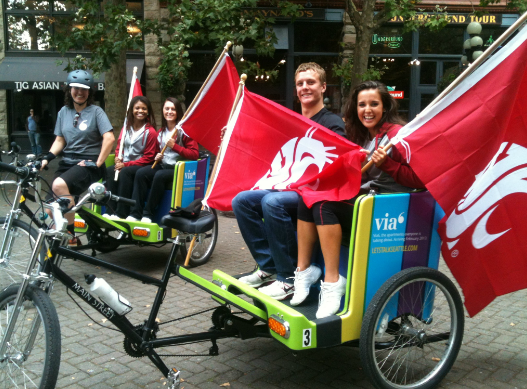 Residents and students in each city were encouraged to photograph themselves or others tossing recyclable plastics into the pedicab bins—and then to share those photos via Twitter or Instagram using custom hashtags that appeared on the pedicabs. 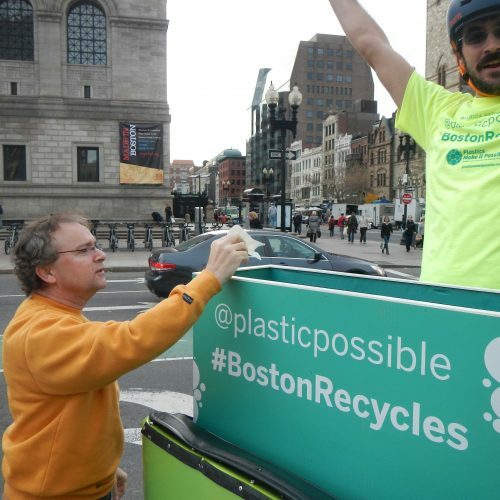 Anyone who tagged @plasticpossible and used the custom hashtags was entered into a giveaway for a chance to win one of five $100 gift cards per city. 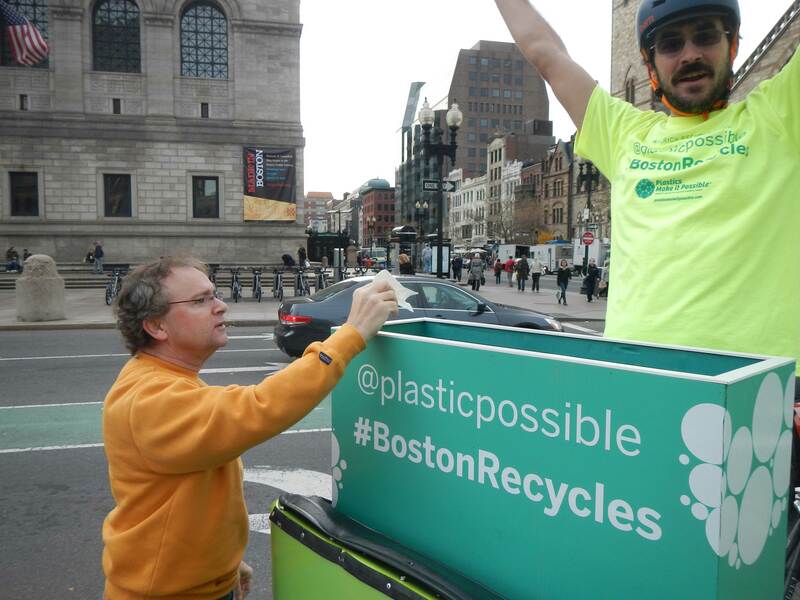 “Recycling is where it’s at!